Fall golf on the PGA Tour continues this week at the CIMB Classic in Malaysia, where a number of the world’s best golfers have their sights set on a fast start to the new 2017-18 season. Last week, Kevin Tway earned his first PGA Tour victory by surviving a three-man playoff. He’s back in the field this week, along with a couple of guys fresh off Ryder Cup success. While the fall series often struggles to attract the game’s most elite names, Justin Thomas and Paul Casey made the trip across the world after playing team golf just two weeks ago. Casey and Europe defeated Thomas and the U.S., but both played well individually in France. TPC Kuala Lumpur (West) is a 7,005-yard par 72 which has hosted events on the PGA, European and LPGA Tours. The West course was the site of the Malaysian Open for seven years, while the East course was the site of the Sime Darby LPGA Malaysia for eight editions. The West was redesigned in 2008. Pat Perez cruised to a four-shot victory as his career continued to climb up the latter with his second win in under a year. Tiger Woods gets deserved attention for his remarkable comeback, but Perez had one of his own, winning twice in 11 months fresh off shoulder surgery. Thomas was attempting to three-peat, but he finished t-17 to end his victorious run here. While Thomas and Casey got to play for their countries at the Ryder Cup, Rafa Cabrera Bello (Europe), Thomas Pieters (Europe) and Xander Schauffele (USA) were all snubbed of chances to compete. All three have showcased solid form over the last couple months and should be considered threats to win this week. Watch out for Ryan Moore. The two-time champion here lost in a playoff last week, and after playing on the 2016 U.S. Ryder Cup squad, might feel as though he has something to prove after missing out on France this fall. Moore is a solid ball-striker and putter, and this course evidently fits his eye. C.T. Pan, ranked 102 in the world, has two top-4 finishes in his last four starts, including a runner up at Wyndham Championship. He’s a streaky ball-striker with a great putting stroke. If he’s on with his irons this week he could contend again. Kyle Stanley rarely gets talked about among the world’s best players, but he’s 27th in the world rankings and fresh off a season with four top-5 finishes. 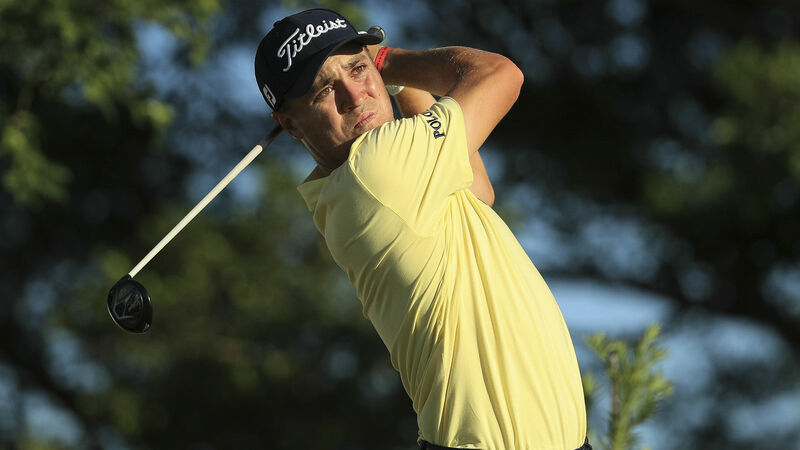 He finished second at the Memorial Tournament and WGC-Bridgestone Invitational last season, proving he saves some of his best form for the big events.